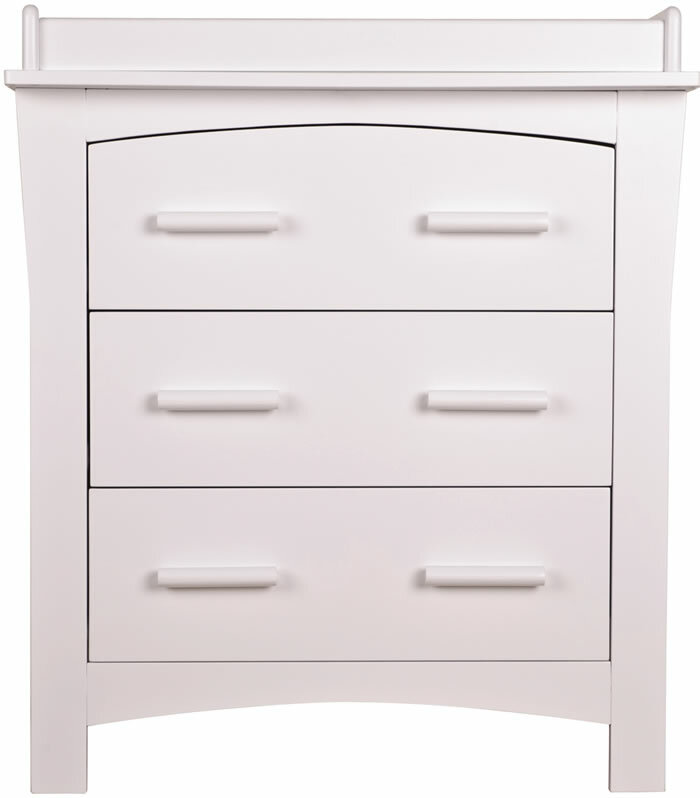 The Sweet Dreams Felix white chest of three drawers features a practical baby changing table and offers additional bedroom or nursery storage, in a traditional shaped design. The baby changing table has four raised sides for additional safety and offers ample changing space with extra room for some essential changing accessories. The three drawers are wide and spacious, each drawer front has two wide handles for easy opening. For safety children must not be left unattended whilst on the changing table, supervision is required at all times.